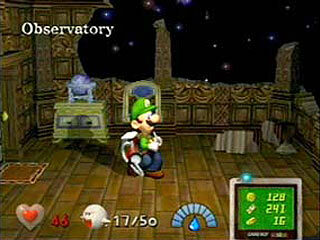 Got the first key ! 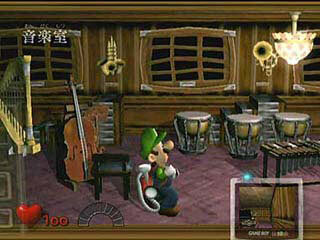 Is the orchestra dead ? 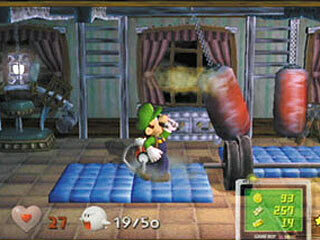 Mario's or Rocky's brother ? 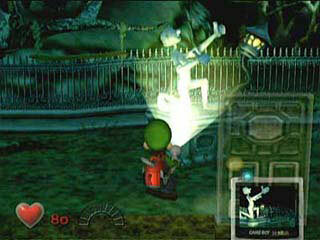 Midnight, the perfect time for physical exorcist... exercise ! 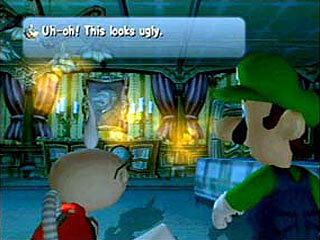 How rich are you Luigi ? 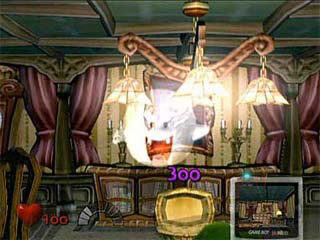 "Hmm ? 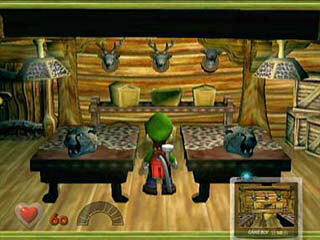 I think I heard something"
Heard that the game is too short and repetitive ? 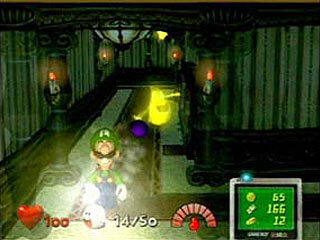 Classics like Super Mario Bros have never been very long and were based on simple actions like jumping. 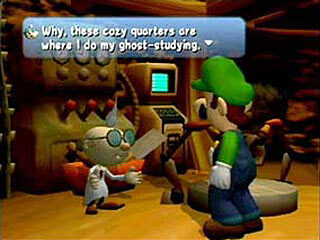 Luigi's Mansion is NOT a long game, but it's a true great Nintendo game, so depending on your skill and time to play, it might not be a problem. 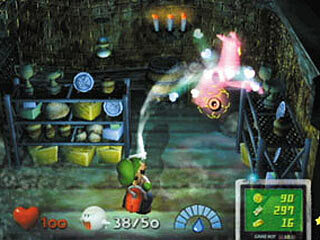 Now, the Miyamoto magic is working on the most powerful game platform ever and the results are frighteningly delicious. 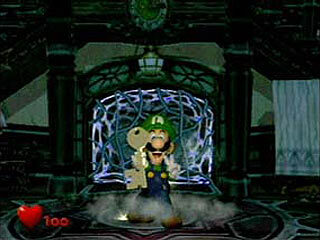 Luigi's night of fright takes place in a spectacular haunted mansion that is inhabited by ghostly apparitions. 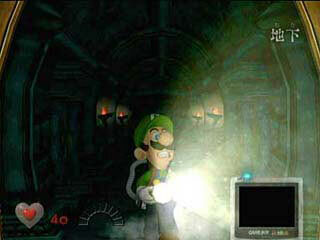 As Luigi searches for his missing brother, he enlists the aid of a paranormal researcher who is adept at capturing pesky and malicious ghosts. 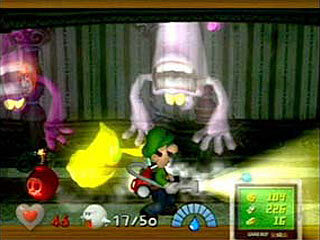 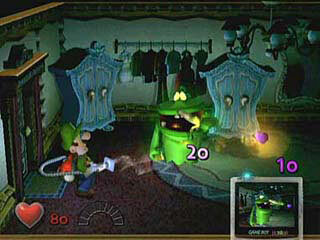 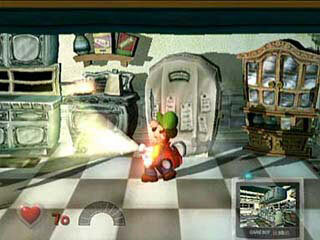 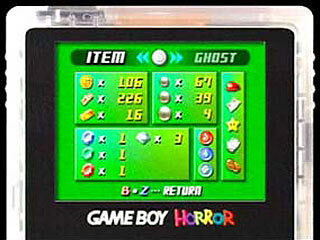 The ghosts are afraid of Luigi's flashlight, but poor Luigi is terrified of ghosts, which makes every step a challenge. 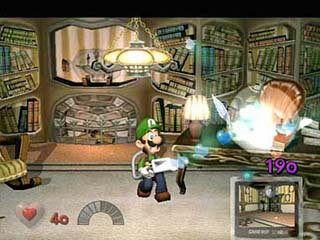 Luigi's Mansion is filled with comic shenanigans, riveting gameplay and stunning graphics that showcase the Nintendo GameCube difference. 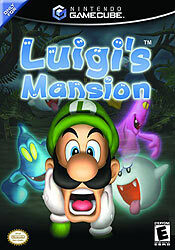 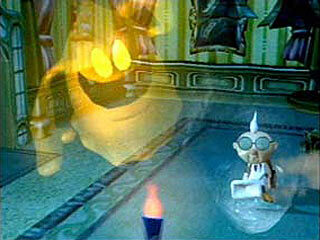 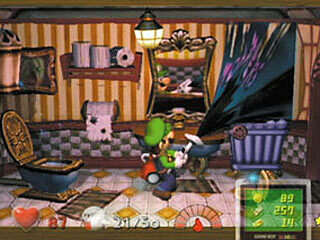 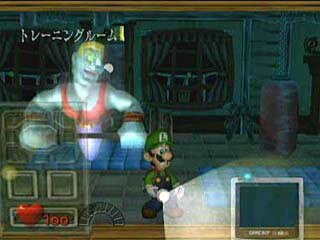 It's all about fun..."
Luigi is my favorite of the two brothers and I love ghosts the perfect game for me.